Directions: Colcannon Place the potatoes in a large pot of water with a little salt. 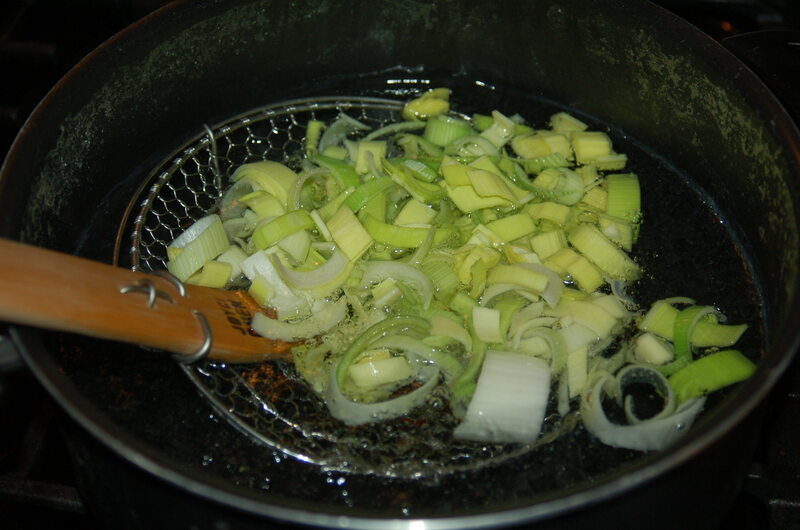 Bring the water to a boil for 5 minutes or until potatoes are fork tender. Drain the water from the pot. 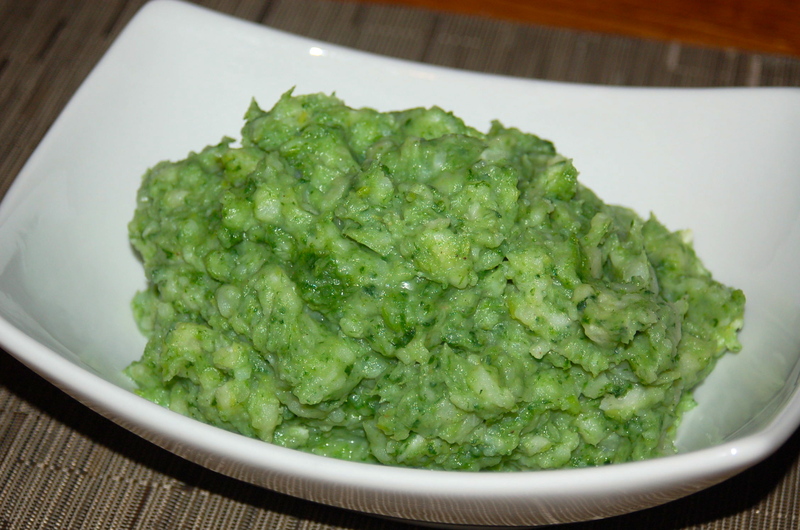 If you prefer a more rustic colcannon, chop the vegetables up more finely than this and skip using the food processor or blender. Bring another large pot of water to a boil. Blanch the vegetables. First, add the leeks and cabbage to the boiling water. 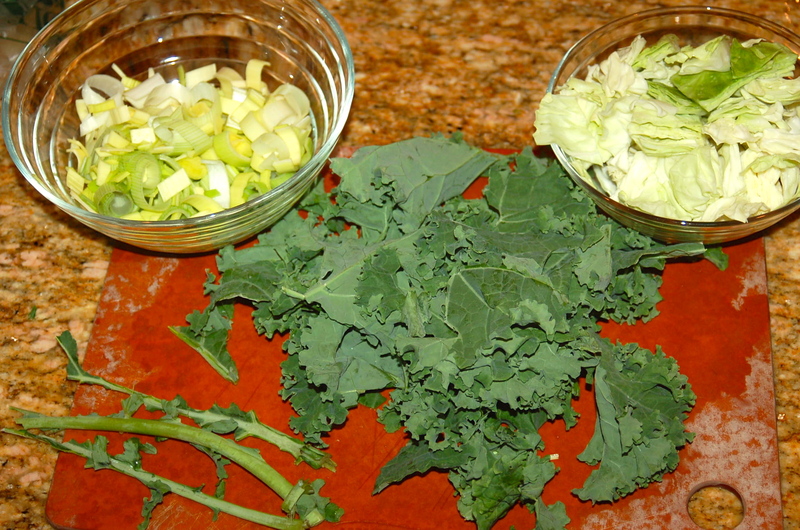 After 5 minutes, add the kale and continue blanching for another 4 minutes until all the vegetables are bright in color and tender. Then add 2/3 of the scallions or spring onions for 1 more minute. Reserve about 1/4 cup of the hot greenish water from the pot. The water contains nutrients and can be used to add moisture to the potatoes. 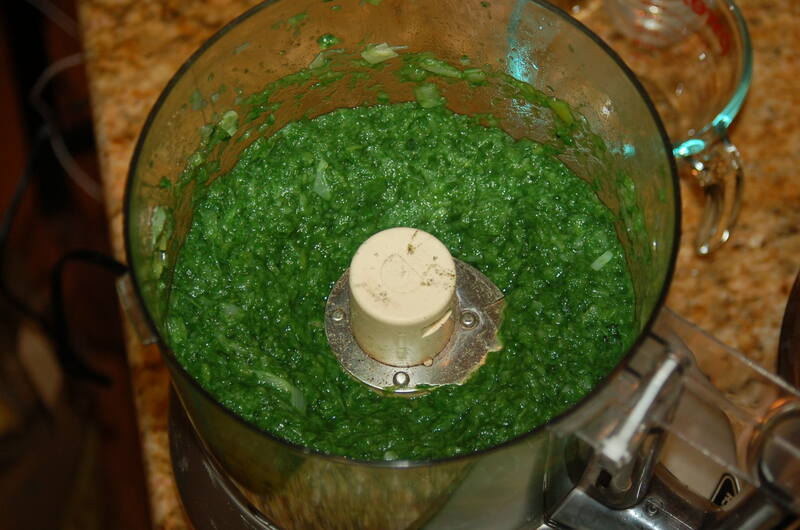 Then strain or remove the vegetables from the water and place in a food processor or blender. Season with salt and pepper and pulse until all of the vegetables are combined. Pulse it gently for a more rustic texture but definitely do not puree it. Some texture is good. Add sour cream and milk or Greek yogurt to the potatoes. Mash the potatoes. If it appears dry, add a splash of the reserved vegetable water. Season to taste with salt and pepper. Stir in the vegetable mixture until just combined. It’s a rustic dish so I prefer chunks of white mashed potato with the green vegetables speckled throughout. Place a lid on the pot to keep the colcannon warm. Traditionally, a well is created in the middle and a Irish butter is added. By adding sour cream or Greek yogurt, I didn’t miss the butter. In addition, that allowed me to allocate the butter to creating a lemon butter sauce for the salmon. Salmon Rinse the salmon and remove any bones. Pat dry with paper towels then slice the salmon into 4 pieces. Score the skin of the salmon by making a few shallow, diagonal cuts on the skin. This will help the skin crisp up but not curl up when cooked. Coat each piece with 1 tablespoon of olive oil, then season well with salt and pepper. Allow the salmon to sit at room temperature for at least 10 minutes before cooking. In a large nonstick frying pan, heat the remaining olive oil on medium high heat. When the oil is hot, but not smoking, carefully drop the salmon on the pan, skin side down. Depending on the thickness of the salmon, cook for about 5 – 6 minutes watching the color change on the cut side of the flesh. When the color changes for 3/4 of the salmon, flip the salmon over and continue cooking for about 2 more minutes. This is called unilateral (uneven) cooking and ensures a crispy skin. I usually flake off a piece of the salmon with a fork to inspect for doneness. A meat thermometer can also be used. The salmon is done when the tiniest sliver of flesh is almost cooked or the temperature is 125F – 130F. Remove the salmon from the pan and let it rest for at least 5 minutes. The salmon will continue to cook through. After the salmon is removed, heat the pan back up on medium heat. Add 1/2 teaspoon of lemon zest, lemon juice, shallot and a pinch of salt. Stir and simmer until the lemon reduces almost in half, then slowly add slices of cold butter, swirling the pan around to incorporate the butter. 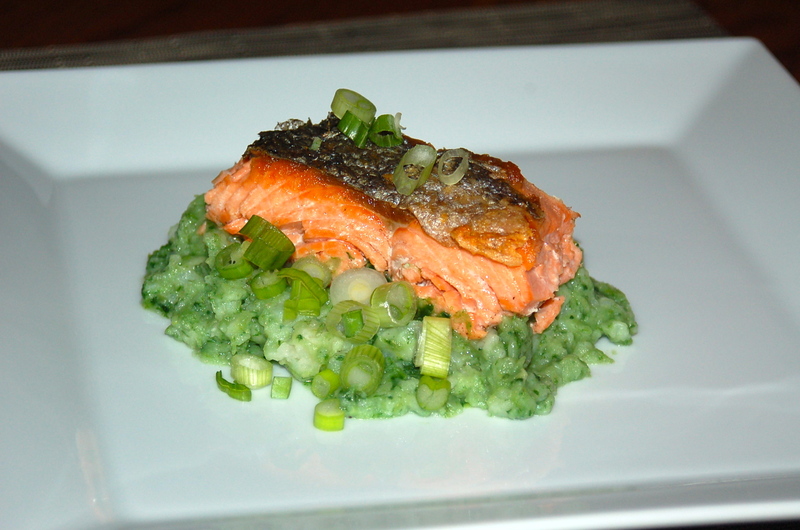 Place the salmon on a bed of colcannon. Spoon over the lemon butter sauce. Sprinkle some reserved green or spring onion on top for garnish.